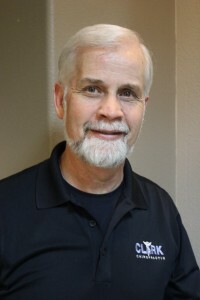 About Dr. Clark - Clark Chiropractic, Inc.
Dr. Clark was born and raised in Stockton, California. He was introduced to chiropractic in his junior year of high school when he severely injured his back playing basketball. Although skeptical of the chiropractic profession, Dr. Clark underwent treatment and experienced great results; he was able to continue playing a sport he loved. Dr. Clark graduated from Palmer College of Chiropractic in December of 1984, in Davenport, Iowa. He performed his undergraduate work at Harding University, a Christian college located in Searcy, Arkansas, and received his Chiropractic Orthopedics certification from the Los Angeles College of Chiropractic in 1996. Dr. Clark is also a Qualified Medical Evaluator in Chiropractic for the State of California. Ever since his first experience with chiropractic, Dr. Clark focused on building a lifetime commitment to helping people, using chiropractic healing methods. Dr. Clark opened his first practice as a solo-practitioner in Fresno, California on October 1, 1985. Prior to having his own practice, he worked in a group practice, Chiropractic Orthopedic Group of Fresno.